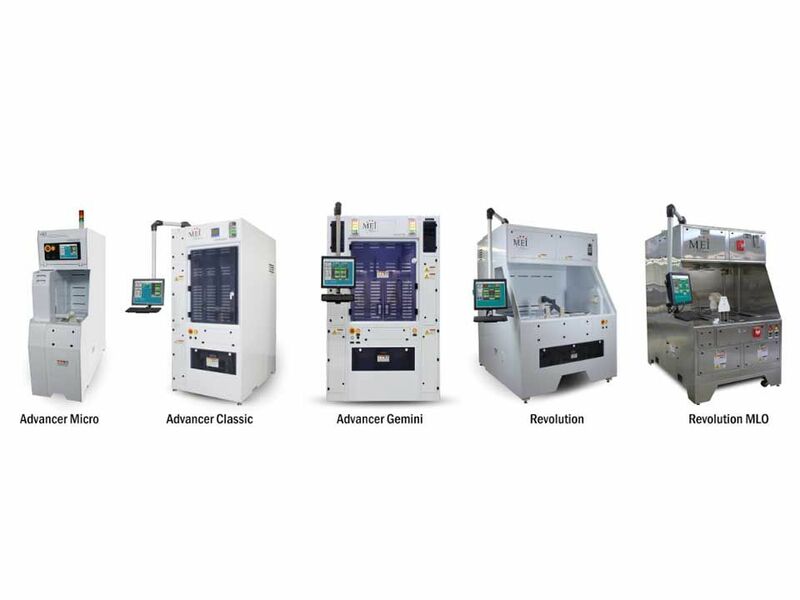 MEI’s Revolution is an automated, multi-step, Rotary wet bench system. 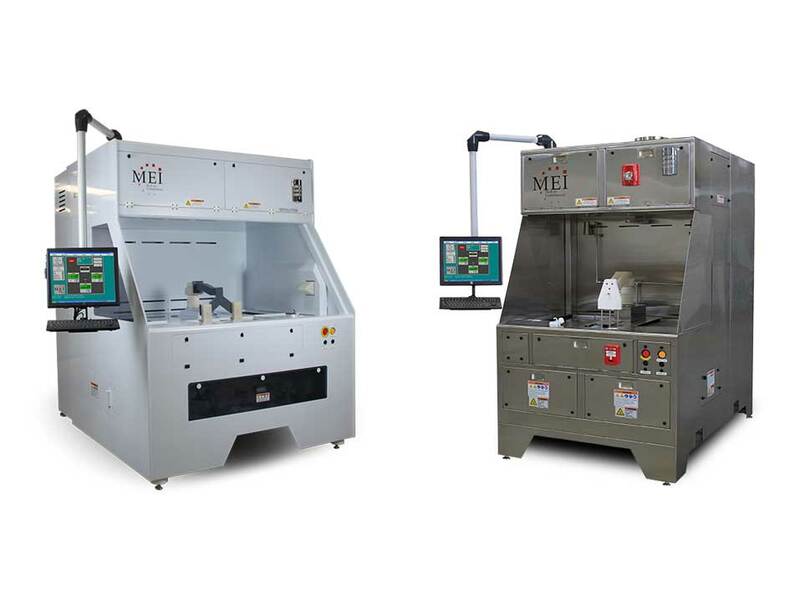 With IDX Flexware Control, an integrated rotary robot and a custom process tank configuration MEI creates powerful, flexible solutions and equipment that require minimal footprint. 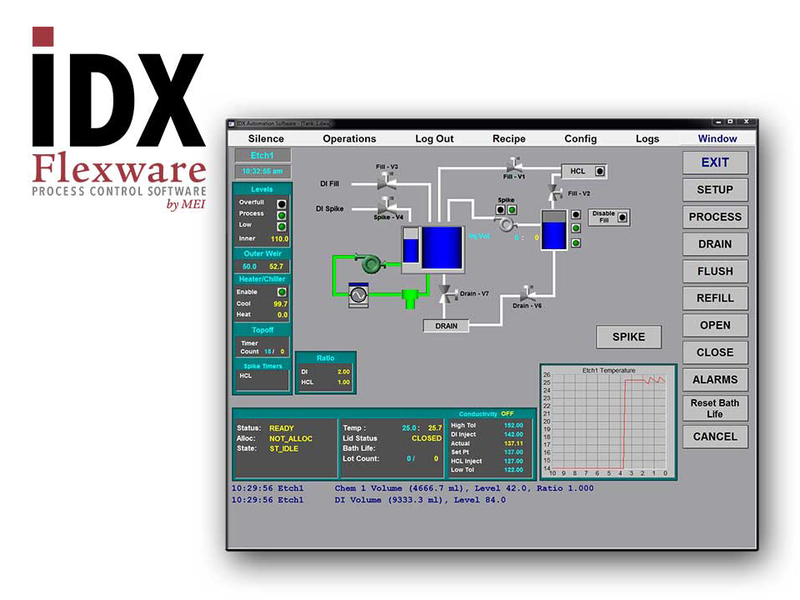 SECS/GEM compliant IDX Flexware Process Control software provides outstanding control and flexibility, custom tailored to your process solution. Our new, robust rotary robots can handle carriers up to 300mm wafers through multiple process steps and recipe configurations. Configurability, up-time, yield, maintainability and throughput are the hallmarks of an MEI wet processing system.